I also started 7 new paintings today. YAY!! 5 of the smaller ones will be band paintings, similar to the ones above. 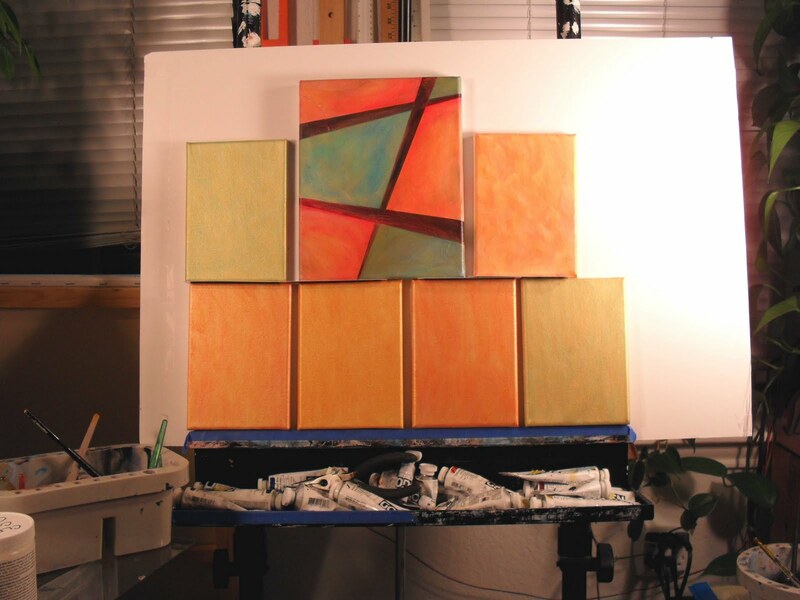 The other small canvas and the 8x10 will be in the Grid series. I got a lot done today, but I still haven't gotten around to doing more sketches yet. I'm hoping to get that done this week sometime.